JT has today published its Annual Review for 2017, showing an increase in growth and connectivity. Also, a turnover of 41% from £185m to £261m, creating an operating profit for the year of a little over £11m. The significant increase in JT’s turnover in 2017 mainly comes from growth in its International business. The Group is now signing up more than 1,600,000 mobile devices around the world, connecting equipment from heart monitors to payment systems, ‘smart’ traffic lights, solar farms and livestock trackers. 70% of JT’s revenue now comes from outside of Jersey. This then supports JT’s investment in local infrastructure, such as its 4G and island-wide full-fibre networks. 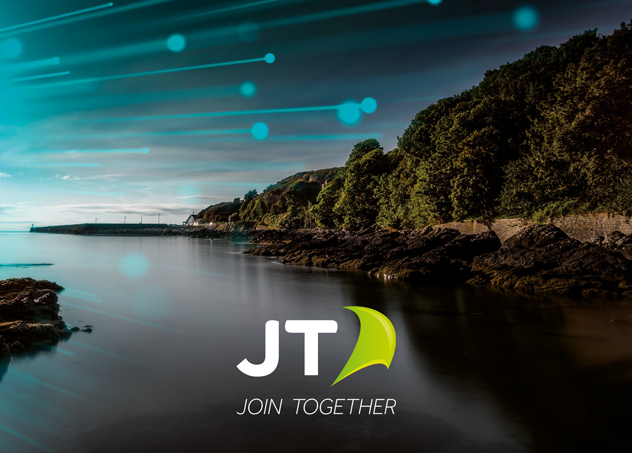 During 2017, JT connected another 11,000 broadband customers to that full-fibre network. The total as of today now reaching 38,700, with the very small number remaining being connected by the summer. That achievement will make Jersey the most connected place in the world, in terms of the percentage of its broadband customers connect to a full-fibre network. “Since I joined the JT board as a non-executive director seven years ago, it has been immensely satisfying to see the company evolve. We’ve gone from a locally-focused telecoms operator into a global business. “JT SIMs now power more than 1,600,000 devices worldwide, taking advantage of JT’s 750 roaming agreements with other mobile network operators. “We are also enabling a number of ‘world first’ innovations in Jersey. Due to the island’s ‘manageable’ size, existing mast network and diversity of terrain, we are fast becoming an ideal ‘sandbox’ for innovation. Global giant Sony has recently chosen the island and JT to test its technology. “2017 was a year of strong growth for the JT Group, particularly for our International division. Their success helps to support our activities here in the Channel Islands. “I’d like to take this opportunity to thank my team for their hard work and commitment. This has helped us to greater commercial success, while also focusing tightly on our customer service. We know we can always do better, however I believe that in 2017 we implemented a number of measures which our customers are finding really helpful. These include our exclusive free MyAccount app and Live Chat facilities, alongside leading the market by reducing data roaming rates by 95%. “Following the same accolade in 2016, 2017 once again saw our 4G mobile network confirmed by Ookla. We were the globally recognised leader in internet performance testing – as the fastest in the Channel Islands. We reached our targets for connecting broadband customers to high-speed fibre optic cabling. “Significant investment in our Channel Island networks has made the Islands one of the best connected places in the world. I’m really looking forward to seeing our customers using those networks both at work and at home. And to really make the most of the digital opportunities which are available.